The Aged Care industry is set to continue to expand in order to accommodate Australia’s ever increasing ageing population. While currently 1 in 7 people are aged 65 years and over, by 2047, that number is expected to rise to over 1 in 4 (Australian Productivity Commission, 2013). As expected, to accommodate these needs, the Aged Care Industry has to expand to meet demand. Increased demand from the Aged Care Industry for sustainable, future-proofed developments leads to Composite Global Solutions responding to enquiries every week about the suitability of our Thermomass product for Aged Care developments. THERMOMASS precast concrete sandwich panels are quick to erect, leading to around 30% reductions in construction times, making it a good choice for large scale residential projects. The ease and speed of construction is particularly important in an industry growing at an annualized rate of 6.4% (IBISWorld, 2013), where supply is struggling to keep up with demand. Furthermore, the energy efficiency of concrete sandwich panels insulated with rigid XPS insulation, such as our THERMOMASS board, is unparalleled from a cost/comfort perspective. 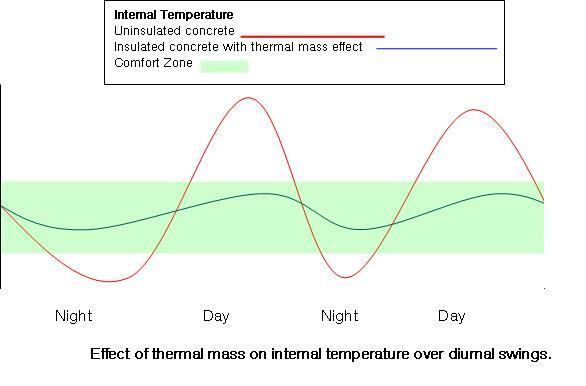 By insulating from the outside in, the greater thermal mass on the interior is able to regulate and minimize diurnal swings, meaning less energy is required to maintain a comfortable temperature. So, what does this mean for the developer/operator? For the developer it means faster construction times, decreased labour costs and decreased material costs – when using Thermomass due to our highly competitive rates. For the Aged Care operator it means energy savings and associated costs of between 30 to 50%. XPS-zero is Australia’s only 100% Australian made extruded polystyrene insulation board on the market. With a high compressive strength, extremely competitive pricing, zero ODP and short lead times due to local manufacturing, XPS-zero is the natural insulation choice to satisfy all your insulation requirements for built up roof applications. The high compressive strength of XPS-zero makes it ideal for slab-on-ground applications, such as insulating freezer floors. Early adopters of our Australian Made XPS-zero have recognised its benefits as a low-cost, Green Star credited insulation solution and we’ve seen a dramatic uptake of this product for cool room applications here in Victoria. On the environmental front, not only are Mammoth panels certified by the International Living Future Institute as being Red List Free, but they also contain a significant portion of recycled polyester fibres gathered from recycled polyester fibres and are produced in a near zero waste production process – all this adds up to an insulation panel with serious environmentally friendly credentials. Modular precast concrete construction has started to make its way to Australian shores as builders recognise the benefits of speedy construction and low quality variance in helping them save money and improve their bottom line.